Stratford Beaconherald reviews Stratford Festival's production of Brontë: The World Without. Even with a stellar three-member cast pulling out all the stops to realize the ambitions of playwright Jordi Mand, Brontë: The World Without ultimately comes off as a well-intentioned production with lofty goals – a mixed blessing that just misses the mark. Mand unquestionably did a masterful and extensive job of research, unearthing intriguing aspects showcasing the Brontë women’s lives, examining the socio-economic constraints of 19th century while dutifully reminding today’s audiences of just what brilliance existed within the walls of this rather bland little family home in Haworth in the west riding of Yorkshire. Another look into the lives of the Brontës is the book Infernales, la hermandad Brontë by Laura Ramos summed up today by El litoral (Argentina). El Periódico (Spain) comments on the fact that orphanhood is a literary gold mine. Charlotte Bronte had her Moon/Saturn conjunct the Pluto of Mary Shelley. Blue Mountains Gazette tells how 'Woodford gets ready to host Most Wuthering Heights Day Ever' while Mirror shares previously unseen pictures of Kate Bush taken at the time of her Wuthering Heights success (or rather 1980). 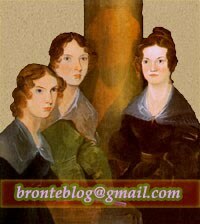 And finally, 'Wellington, Waterloo and the Brontës' on AnneBrontë.org. The Mighty Oak. With texts by Shakespeare, A A Milne, Emily Brontë and Samantha Harvey read by Siân Phillips and Joseph Mydell. Music includes works by Verdi, Smetana and Britten.